Have you ever put your feet in something that feels like heaven and performs like gold? 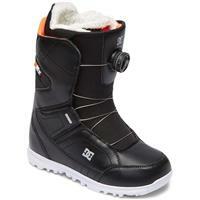 The DC Search Boa® women's snowboard boots are the perfect blend of comfort, style, and convenience. DC created these women's snowboard boots with the Boa® H3 Coiler Closure System so you can spend less time tying your boots and more time taking laps all while holding your heels locked into place so you can take on whatever the mountain throws your way. A heat moldable liner will give you the exact support where it is needed for you. 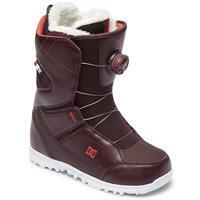 Designed with a blanket like an insole and three different classic colors, you'll be sure to match these DC Search Boa® women's snowboard boots to any outfit you put on. The DC Search Boa® women's snowboard boots are a lightweight, medium to stiff flex fit giving all you advanced, all-mountain riders, and freeriders a great boot you can conquer the mountain in.